2015 Pennsylvania School District Rankings based on PSSAs: Unionville Chadds Ford retains top spot, Radnor in 2nd and TE School District drops to 7th! Anti-Standardized testing movement gaining traction locally! There is an opt-out movement against standardized testing in public schools playing out across the country. Opponents of the exams argue that too much time in public education is spent teaching to the test, stressing out students and teachers and detracting from real learning time. 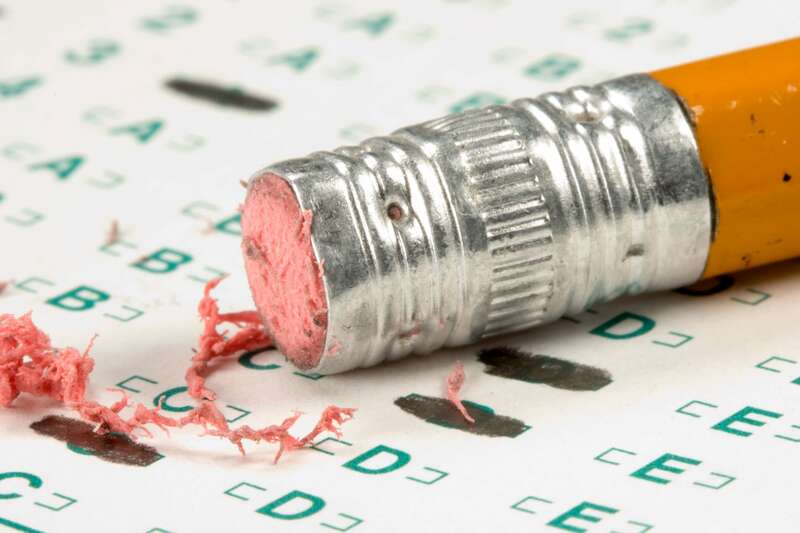 Locally, the anti-standardized testing is gaining traction among parents in Lower Merion, Radnor and Tredyffrin Easttown School Districts – just as the Pennsylvania school district PSSA standings for 2015 are released. The Pennsylvania System of School Assessment (PSSA) formula ranks the school districts based on three years of state standardized test scores, giving the most weight to the current year. The PSSA is a standards-based assessment of what a student should know and be able to do at varying levels in reading, writing, science and math. Reading and math is assessed in grades 3 through 8 and grade 11; writing is assessed in grades 5, 8 and 11 and science assessed in grades 4, 8 and 11. The rankings do not denote the overall quality and performance of the school district, only the PSSA scores. A Pennsylvania school district that places in the top 15 or 20 out of 500 districts statewide based on the PSSA exams is an achievement for which students, parents, teachers and administrators can all be proud. Proponents of standardized testing view PSSA scores as a reliable predictor of future success. As a tool for student assessment, the PSSA exam helps measure and provides useful information of what students are learning. The PSSAs measure the performance of the entire class and provide of measurement of how an overall class is performing. But some parents have chosen not to have their kids participate, claiming the tests cause undue stress for kids, and have no direct benefit. The Pennsylvania school district’s PSSA rankings for 2015 are now available and reported in Pittsburgh Business Times. This is the fifth consecutive year that I have tracked the top 15 school districts in Pennsylvania as ranked by the PSSA results. Results reveal that Unionville Chadds Ford School District (UCFSD) in Chester County is holding on to top placement. The yellow highlighted line in the chart below indicates that T/E School District has fallen in PSSA rankings each year during the last five years. The District was second in 2011, third in 2012, fourth in 2013, fifth place in 2014 and for 2015 dropped to seventh place in the PSSA rankings. After UCFSD (Chester County) in the PSSA rankings, Radnor (Delaware County) moved up to second place, followed by South Fayette (Alleghany County) in third, Hampton Township (Alleghany County) in fourth, Mt. Lebanon (Alleghany County) in fifth and Lower Merion (Montgomery County) moved up from ninth to sixth. Interesting to note that Radnor and Lower Merion School Districts advanced on the state-wide PSSA rankings; both districts ahead of TE, which dropped to seventh. The TE School District has continued a steady downward movement in the PSSA rankings during the same period that Radnor and Lower Merion school district improved their scores. The question is why are the PSSA rankings going down in TE rather than up. The only other local Chester County school district represented at the top of the PSSA rankings chart is the Great Valley School District, which dropped from eleventh to sixteenth in the 2015 list. We know that Pennsylvania parents that oppose standardized testing is advancing. In 2012, only 260 Pennsylvania students opted out of the math and reading PSSAs. In 2014, more than 1,000 of the 800,000+ eligible students opted not to take the tests according to the Pennsylvania Department of Education. It will be interesting to see if the PSSA rankings change substantially as the students opting out of the standardized testing increases.